It may not be a new trend, but we are hearing from a quite a view readers that as part of their plan to REWIRE they have added a new pet to the family. 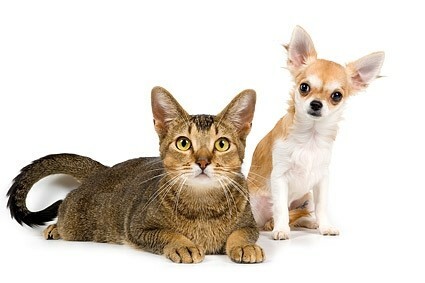 Not that it should be surprising, after all, recent surveys show that 68% of U.S. households have a pet. Of course, that includes all pets: snakes, lizards, gerbils, alligators (yes, alligators), and other exotic beings. Most are opting for the more traditional route: a dog or a cat. The benefits of having a pet are multiple and hold great appeal for retirees. Pets are great company. You may live by or be home by yourself. If there is a pet in the house you are never alone. They make good company and take your mind off of yourself. As one person said to us recently, "Yes, I admit it, I talk to my dog. He listens. I feel better. He doesn't feel worse. The day seems a little brighter. Then we go for a walk." What could be bad about that. Don't make light of the "going for a walk" part. Getting out of the house and walking is a great way to exercise with a purpose. It is also a terrific way to meet new people. Ask anyone in NYC who goes to Central Park with their dog. Strangers talk to them....the pet that is. Eventually the conversation extends to the pet owner as well! Social engagement via a pet has great possibilities. Some of our single friends say it can be as effective as Match.com.